The Chinese government has ruled that a company named Xintong Tiandi Technology is free to make purses, wallets and phone cases branded with the word “IPHONE” after rejecting Apple’s appeal to the trademark dispute on March 31, according to Xintong Tiandi’s website. Meanwhile, Apple’s iPhone sales have declined for the first time ever. Xintong Tiandi registered for the trademark in September 2007, which is curious, given that 2007 was the same year Apple unveiled its mobile phone to the public. Apple had registered the same name in China in October 2002, but because Xintong Tiandi makes leather goods and Apple makes computers, the Chinese trademark authority granted the rights to both. Apple began pursuing legal action against Xintong Tiandi in 2012, according to Legal Daily. And in case you were wondering, no, a lowercase “i” does not differentiate the two, according to Quartz. China doesn’t think Xintong Tiandi will “harm [Apple’s] interests,” arguing that no one in China will actually think the handbags were designed by the Cupertino, Calif., company. Maybe Apple can interpret that as a compliment about its impeccable, distinctive design. 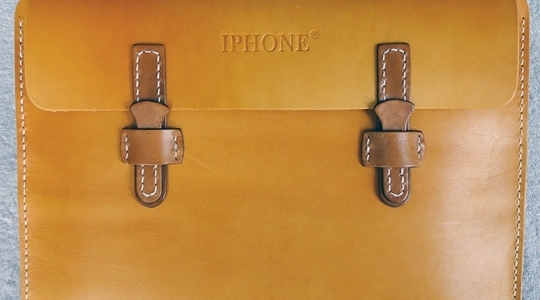 The website for the leather products includes a page discussing the dispute’s resolution, on which the Xintong Tiandi suggests it hopes to work together with Apple to leverage their shared name to the benefit of both companies. Gee, thanks. The Apple brand was worth $124.2 billion in 2014, according to the U.S. Patent and Trademark Office. But Xintong Tiandi’s shenanigans show that even the most powerful brands cannot fend off corruption and blatant copycats.